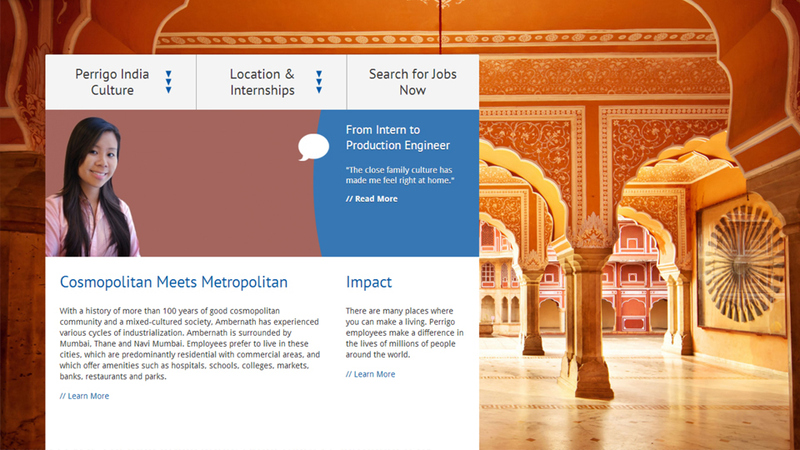 Working in ExpressionEngine, we built a global-minded website that places users on track to find jobs in the places the're most interested to work in. The site features stunning local photography, local-specific information and testimonials, videos and 100 Reasons to work at Perrigo Company. 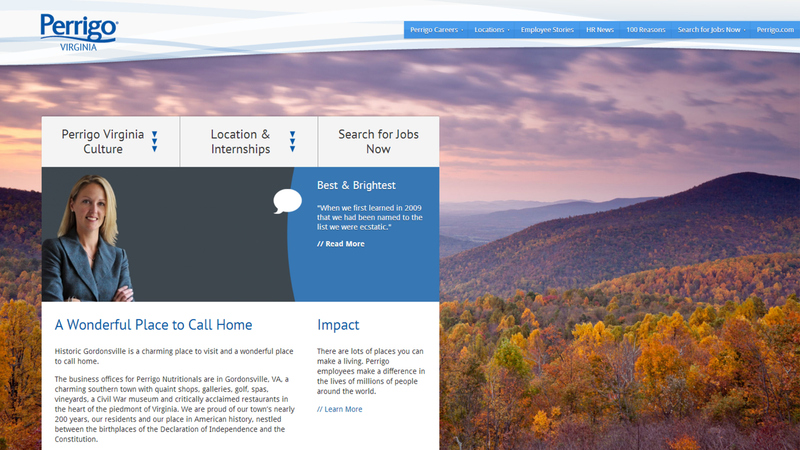 You can see the project in action at perrigocareers.com. The global careers page starts with a Google Maps API-driven map that tracks users to the location they want to work. Each location features stunning local-specific photography. Page also inlcude employee testimonials and persistent global as well as local navigation to help users get where they need to be in a single click.